It is easy to misread Kim Sang-jo, the chairman of the Fair Trade Commission, who is well known as an erudite economist and a passionate anti-chaebol activist. Ever since he was named to head the nation’s top watchdog in June 2017, views have clashed between those that forewarned an end to the heyday of South Korea’s conglomerates and those that impugned whether the “chaebol sniper” would live up to his nickname. Halfway through his three-year tenure, Kim has completed the exhausting task of conjuring up revisions to the country’s Fair Trade Act for the first time in 38 years. His proposal has been passed on to the National Assembly for review after being approved by the Cabinet last month. And Kim remains the target of criticism from both sides of the political spectrum -- either for “stepping back” from his reform drive or “excessively hindering” business. Regardless of the reputation he has acquired, the chairman describes himself as a reasonable reformist -- even, by his own admission, to the point of ambivalence. “I have always thought hard about whether the commonly perceived methods of reforming chaebol would still be fitting for the 21st century,” he said, referring to the three most commonly cited ways of changing the chaebol -- by reviving the ceiling on equity investment, toughening the separation of industrial and financial capital, and eliminating circular shareholding. He said the gist of what he believed to be true reform was to put an end to “gapjil,” unfair business practices employed by market monopolies, as well as undue inter-affiliate trading. Doing away with both is the main objective of the FTC’s proposed bills to amend the Fair Trade Act. Among other things, the bills would strengthen multilayered oversight of large businesses. They would set stricter definitions of conglomerates and lower the threshold for limits on inter-affiliate trading. The FTC also wants to relinquish its exclusive right to investigate suspected cartels by sharing that authority with the prosecution. The proposed amendments would also fortify a company’s right to defend itself. Much of the content of the bills is hotly contested, both by proponents and opponents. 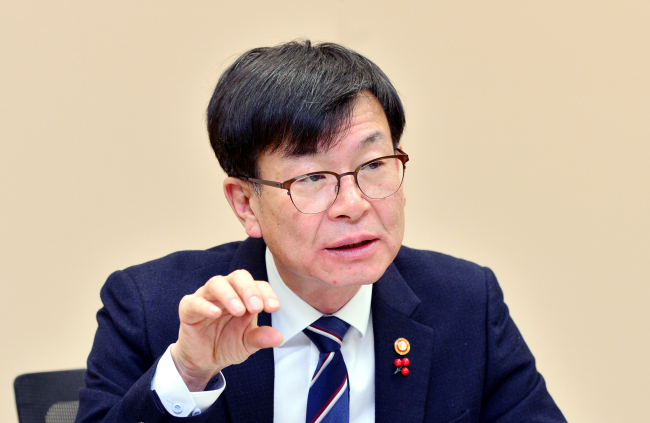 With regard to the persistent debate, Kim said he does not hold to an “all or nothing” mantra and that he hopes the legislators will review and pass uncontroversial bills first. Insisting that the FTC should “never be swayed by nationality,” he said the execution of laws to promote fair competition should never become a trade issue. “There are regulations that only exist in South Korea, but there are also regulations that exist in advanced economies but not in Korea,” he added. Kim also said he humbly accepted the criticism and that the FTC revisions were intended to improve procedural fairness in the FTC’s investigations, regardless of the nationality of the firm. Underlining the point that every country has its own unique economic system -- for example, the chaebol system is unique to Korea -- Kim said the separation of ownership and management does not have to be the standard in all other economies as it is in the US. While he conceded that the public had reason to feel the domestic economy was approaching a crisis, Kim argued that the “retrospective way” of preventing a crisis -- giving free rein to large conglomerates and hoping for a trickle-down effect -- would no longer work. When asked what he would like his new nickname to be toward the end of his tenure, instead of “chaebol sniper,” Kim said he would like to be known as an “evolutionary reformer,” reflecting his view that ways to reform the market also need to evolve with time. 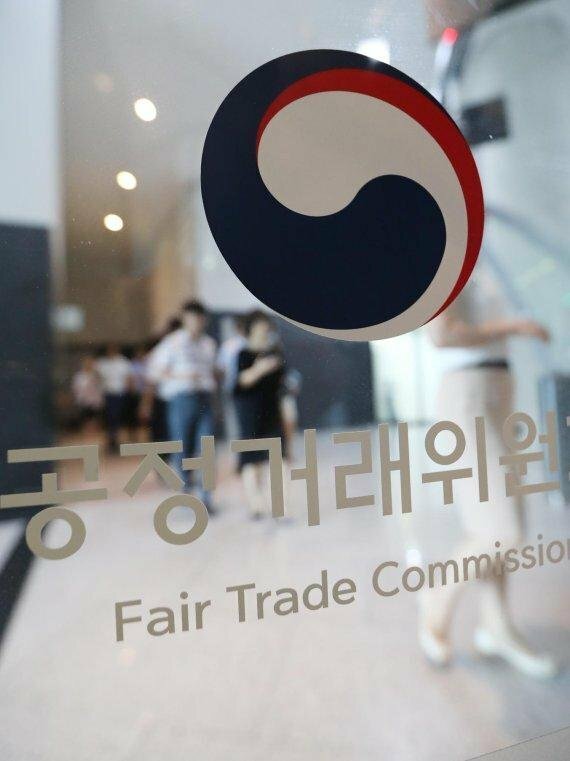 The Korea Herald: Many hurdles lie ahead before the FTC’s Fair Trade Act revisions can be passed, due to its controversial nature. How optimistic are you? Kim Sang-jo: In Korea, the fair trade law appears to be perceived more as a chaebol reform law than a competition law. Some people still call for traditional ways of reforming conglomerates. They are the revival of the ceiling on the total amount of equity investment, toughening of the stance on separating industrial and financial capital and (eliminating) circular shareholding. But I found that the revision of the fair trade law based on those three things was no longer economically right. For the revival of the ceiling on the total amount of equity investment, it is neither possible nor economically rational. For the ban on circular shareholding, it is already resolved in many large companies. For the separation of industrial and financial capital, although it is important, it is focused only on a few conglomerates, or on Samsung only (which is already tackled within the system of the consolidated supervision on financial conglomerates). It is based on four principles … the adoption of competition principles in enforcing competition law, predictable and sustainable rules and regulations on large companies, strengthening the credibility and transparency of law enforcement, and the establishment of an innovative ecosystem. For the final legislation, we did not take a risky all-or-nothing approach. Instead, if needed, we may split (it) into small categories so that bills with less controversial issues such as focusing on innovative growth can be passed first. KH: You and the FTC under your leadership appear to be the subject of two contradictory views. (People see you as) either too lenient in taming conglomerates or too excessive in restraining businesses. To the people calling for stronger regulations, I want to tell them that the three things I mentioned earlier are neither everything nor the only thing in chaebol reform. Rather, they have been factors in the failure of Korea’s chaebol reform over the past 30 years. The key to chaebol reform, I think, is to make fair trade a solid practice in the market so that the public can experience fairness in their daily lives and in their economic activities. Resolving the unfair transactions between small and large companies and stopping undue intra-trading deals within affiliates are the two most important challenges I have taken on during my tenure. On the other hand, to the people who say that the overhaul of the fair trade law is suffocating business, I want to assure them that the chaebol are not something to be toppled down. They are valuable assets for the Korean economy. The problem lies in how the success story of the past can still be applied to the future, which in fact damages our future. What is truly (important) for businesses is to maintain and reinforce their competitiveness. Kim: Instead of my current nickname, “chaebol sniper,” which I might add I never asked for, I would like to be remembered as an “evolutionary reformer.” This is something I have (wondered about ever since my days as) a civic activist, particularly after the 2008 crisis, why it was so hard for (fair trade) to take root in Korea and the world. KH: After becoming a public official, having previously been a civic activist and an academic, you may have hit a wall: reality. 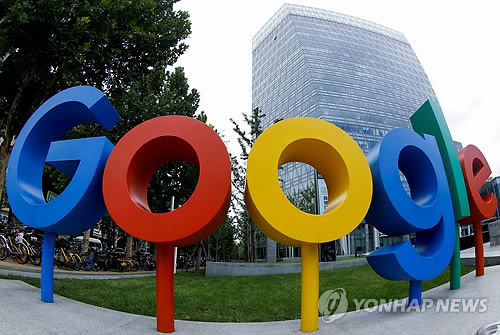 KH: Lately, James Kim, chairman of the American Chamber of Commerce in Korea, reportedly remarked that Korea’s FTC tends to treat companies under investigation as criminals. What is your response to the remarks, which appears to be representative of foreign companies doing business in Korea? But my core principle is that the FTC should never be swayed by nationality. When the execution of the competition law becomes a trade issue, it will create huge costs. The (mandate) of the FTC is to maintain and improve (fairness) in the market, and that has nothing to do with nationality. The FTC is dealing with Apple and Google but also Naver and Kakao. I will humbly take the criticism and we will step up our efforts to serve the FTC’s true role of improving fair trade regardless of nationality, and to ensure that the implementation of the FTC’s mission is economically rational and procedurally just. KH: How do you view Hyundai Motor Group’s latest reshuffle in corporate governance, and the related moves of the US activist hedge fund Elliott? Kim: This is a sensitive issue. Elliott’s understanding of Korean companies’ corporate governance has evolved from the past when it raised an issue with Samsung (over the merger of Cheil Industries with Samsung C&T). But I find that its understanding of Korea still remains insufficient when I saw Elliott argue that the only way to reform Hyundai Motor is to shift to a holding firm. I do not believe that Korean conglomerates should be (forced) into a professional management system like those in the US. In actuality, the separation of ownership and management in the US can hardly be found in other countries. In particular, (business leaders and politicians) here must adjust their perception that all foreign investors are the same. Back to Hyundai, in any country, the ownership and leadership of conglomerates can usually stretch as far as the third generation of their founders. At the third generation, the founding rights become greatly diluted. In that sense, it is a turning point for the third-generation leaders of Korean conglomerates. They know well that they should not run the companies in the same way their founders or fathers did. KH: You have previously said (in 2012) that the theory of economic crisis is largely an ideology. Do you still maintain that view at this juncture, where many are concerned that the Korean economy is going downhill? Kim: The word “crisis” is interpreted differently by ordinary people and economists. In 1997 there was the currency crisis and in 2008, the banking crisis. From an economist’s perspective, I do not believe Korea is in a crisis. But right now, as ordinary people feel a sense of crisis, it is the duty of the state to (come up with the necessary) policies. I first described the crisis theory as conservatives’ ideology for the first time in 1996. I used it to describe how they diagnosed the cause of many crises with the theory of high cost and low efficiency. And some 20 years later, they held onto the same diagnosis. Many conservatives tend to regress in time when trying to mend the difficulties, in favor of giving unlimited freedom to large companies and expecting a trickle-down effect. They believe economic difficulties should be addressed in the way of lowering costs, such as production costs, wages, regulations, rental fees and housing prices, and thus raising efficiency. While it is true that the economy cannot stay only within the realm of economists, the discussions at present tend to lean toward political ideologies.